If your enjoy keeping your sunroof open, but don't like the wind and noise that comes along with it, we've got just the thing for you. Our Sunroof Deflectors are made of thick see though acrylic in a dark smoke finish. Sunroof Deflectors deflect dust and debris while reducing wind noise and turbulence. 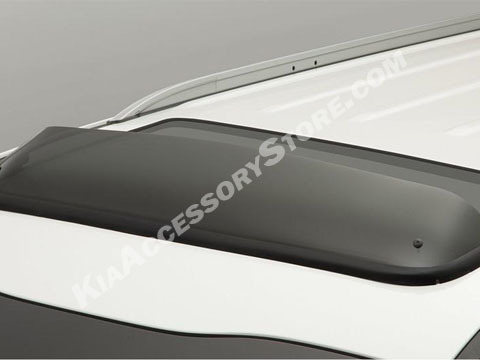 Sunroof Deflectors are a must for any vehicle with a sunroof. Custom designed to follow the natural contour of your Sedona.